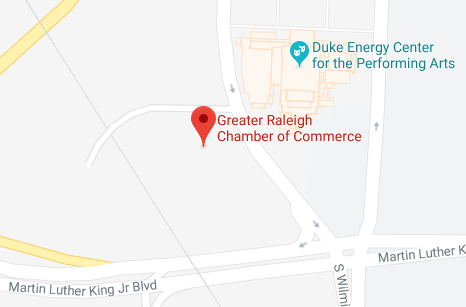 The Chamber’s annual Inter-City Visit & Leadership Conference brings Raleigh and Wake County businesses, government, and civic leaders together with their counterparts to learn from others another market and share ideas. Attendees will find out more about Wake County policy issues, benchmark a comparable community against ours, and enjoy high-level networking with other attendees. Expected attendance is 150+. Features: “Presented by” name recognition following name of event, digital ad on Chamber homepage, logo recognition on website calendar of events, name recognition on marketing materials, verbal recognition at event, daily speaking opportunities, logo with link to company website in event app, mentions on Chamber social media. Features: Logo recognition on sponsor presentation, verbal recognition at event, logo with link to company website in event app, mentions on Chamber social media. Features: Name recognition on sponsor presentation, verbal recognition at event, logo with link to company website in event app, mentions on Chamber social media. Features: Name recognition on table sign, verbal recognition at both breakfasts, logo with link to company website in event app, mentions on Chamber social media. Features: Logo with link to company website in event app, name recognition on sponsor presentation, verbal recognition at event. Features: Logo with link to company website in event app and at charging stations throughout the event. name recognition on sponsor presentation, verbal recognition at event. Nashville favorite entertainment during our opening reception. Features: Logo with link to company website in event app, name recognition on sponsor presentation, verbal recognition at event while introducing the band.